I kind of love the word miscellany, whose official definition according to the Google is ” a group or collection of different items, a mixture.” It sounds charming and old-school and like it would be said by a schoolmarm wearing a Little House on the Prairie outfit. And honestly? The word and all its implications is way more grandiose than the collection of items I have for you today. But reading it out loud in the comfort of your own home and reading it out loud in front of a group of people are two different things. So I’ll probably chicken out. Thing #2: The very next weekend, in the very same location, my biz partner Debbie and I will be presenting the second round of our workshop, The Ins and Outs of Publishing. It is a day-long workshop with lunch provided and our first group loved it and learned a lot. We cover the entirety of the publishing world and bring in our friend Angela Sanders to cover self publishing. You can read more here. 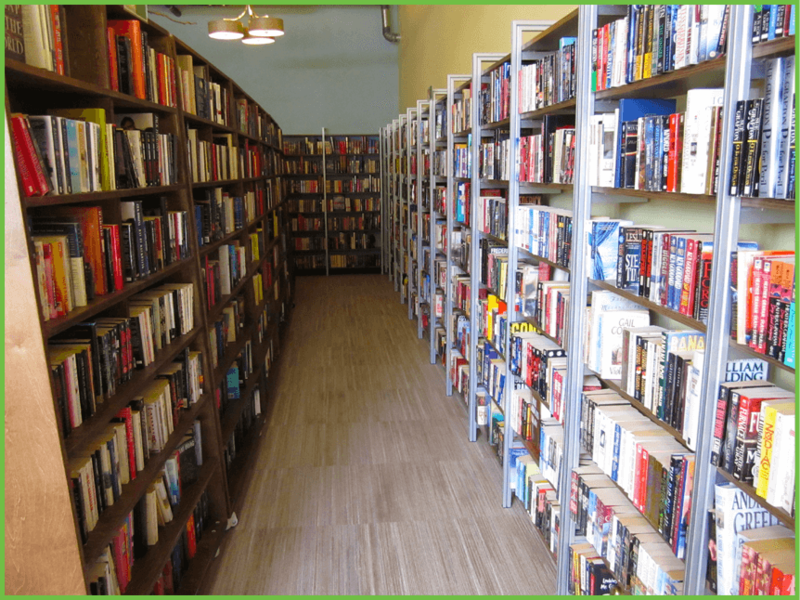 But let me also add that the bookstore is a great spot to hold a workshop. Elisa has a cool upstairs loft that we use and we sit surrounded by the mystery section. I dare you to attend and not buy a pile of books (since the bookstore is mostly used, you can go home with a stack for not that much money). So that’s it, that’s my miscellany. And now I am off to the bi-weekly writing group, loosely called Wednesday Writers, that Debbie and I torture run. What’s going on in your writing world? Photo from the Another Read Through website. AND THE WINNER IS….KATE ARMS-ROBERTS! Yay, Kate. Please email me with your address and so we can discuss mechanics of sending me pages. 1. 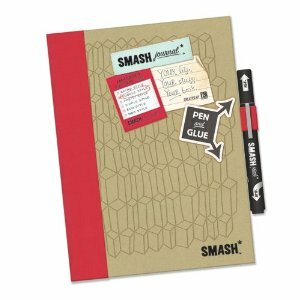 A Smash journal to keep your ideas in. I have a blue one of these and it is fabulous, even though I think it is designed for teenagers. (We're all young at heart here.) Why is it so fabulous? Because its got a perfect bound cover, but is spiral-bound inside. And all the pages are different, so you don't get bored. But here's the number one reason why it is so flippin' fabulous: because the pen that is attached to it is also a glue stick. So you can paste things in as easily as you can write in the journal. As I mentioned, I use it for my idea journal. (The cool thing about idea journals is that if you gather ideas in them and then close the cover, they mate while you're not looking.) Check out this link to the Smash journal page of Amazon to read more. 2. A 25-page manuscript critique from me. 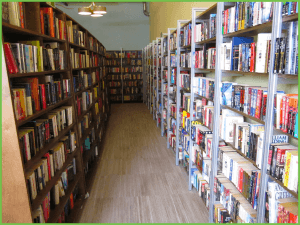 Doesn't matter what you're writing–a novel, a memoir, an article, a creative non-fiction piece or something else, I'll read it and critique it for you. So, by now you are wondering how to get yourself entered in this contest, no doubt. Here's the skinny: all you have to do is leave a comment below answering the question, what are you doing to celebrate Valentine's Day? Easy, huh? You don't even have to confess anything about your writing. Just tell us what your Valentine's Day plans are, (and if you don't have any that's okay, too, just write about that) and you'll be entered into the contest for the journal and the critique. Oh–by the way, check back here on the 15th, when I announce the winner, who I select at random by a random name generator site. And, for the record, the folks who make Smash journals do not sponsor this contest. It's just little ole me, cuz I love you guys soooooooo much.